For many businesses, translation is often an after thought or a way to use up surplus funds. To the communities it serves however, it can be a lifeline. For businesses using translation correctly, it can lead to significant profit increases. Research by IDC shows that web users are four times more likely to buy from a website in their own language and remain on that site for twice as long. Many businesses look for the cheapest translation service, as budgets are tight, and often ask us to undercut our rates in order to match the ‘budget’ translation agencies. We’ve found that such cost cutting initially, often leads to more expenses down the track. Here at Linguistico we are often asked to correct translation work completed by a ‘low-cost’ agency. Sometimes the work is of an acceptable standard, containing careless errors, but frequently, a complete re-write is needed. The “buy cheap, buy twice” adage applies to translations just as it does for a retail purchase. 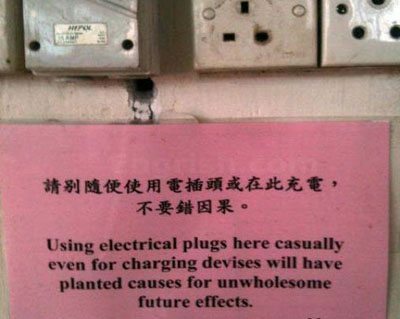 Perhaps it’s better to spend slightly more upfront resulting in a quality translation. So what should you look for in a quality translation? • NAATI-accredited translators, if required by your organisation. • Industry experts, with additional relevant translation experience. • Native-speaking translators are generally best, but a bilingual translator’s subject expertise can outweigh a native speaker’s natural language flow. An experienced project manager will know which translator is most suitable for you and your project. • Proven quality control processes. How can you prepare as a client? • Clear drafting is key to producing a quality translation into another language. • Brief your agency on your audience, where they are based and the context for the translation. • Provide reference material or previous translations so all terminology is used correctly. • Allow a reasonable lead time for the project wherever possible. Our experience shows that quality translations can greatly benefit your business – while poor work can produce results which are laughable at best and catastrophic at worst. For us, providing a high standard of work and not cutting corners is the key to making sure that your translation is accurate and you don’t become the internet’s next viral victim! If we can help with your document translation requirements, we’d love to hear from you. I have always been very impressed by Linguistico’s responsiveness and professionalism – it is always absolutely outstanding! I have always felt as though I am kept in the loop so that I have a handle at all times on where a project is up to. I have found Linguistico to be very competitively priced and the service to be really friendly and particularly understanding of our processes and timelines. This has always made it a real pleasure to work with them. We regularly engage Linguistico to translate lengthy technical documents in a short time frame. The translations are always of an excellent quality and Adrienne continuously works to ensure our deadlines are met. We would happily recommend Linguistico to others. We were very happy with the legal translation service provided by Linguistico. The translations were all of a high quality and it was really good being able to work with a team familiar with the legal environment. It was also very helpful to have regular updates from Linguistico about the translations – this regular communication is most appreciated. Quick response, good quality work and great communication with the project manager – our Italian colleagues were also very pleased with the translations. A strong project team. Having clients from around the world, Coffey requires accurate translation of material in languages from Arabic to Brazilian Portuguese, often in relatively short timeframes. Linguistico has always delivered what we require with a fast turn-around time. And their customer service is excellent, keeping in regular contact throughout the duration of a job. Linguistico’s service and professionalism has been fantastic from start to finish. In addition to providing exceptional translations, their translation team picked up a number of errors in our source document and highlighted these to us. This attention to detail exceeded my expectations. It has been a pleasure working with Adrienne and her team. I would have no hesitation in recommending Linguistico translation services.